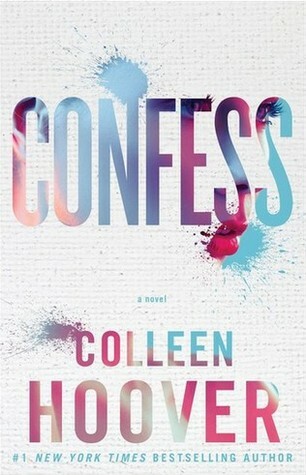 From #1 New York Times bestselling author Colleen Hoover, a new (Duh.) novel about risking everything for love—and finding your heart somewhere between the truth and lies (Hm, this confuses me. What exactly is "finding your heart"?). Auburn Reed has her entire life mapped out. Her goals are in sight and there’s no room for mistakes. (Okay, interesting. We have a clear potential for conflict, some hint of her personality.) But when she walks into a Dallas art studio in search of a job, she doesn't expect to find a deep attraction ("Find" is weird here. How do you "find" an attraction?) to the enigmatic (Ugh. Of course he is.) artist (Mm, okay, I love artsy boys. You've got me.) who works there, Owen Gentry. Despite a few grammar hitches that really irritate me, this is a great blurb. It succinctly lays out the nature of the characters and the main conflict. It creates tension and mystery without giving too much away. In particular, it sets up Auburn as a rather inhibited girl who takes a risk, only to be burned for it. I like this, because so often girls in romances take risks and it's all amazing and dandy--but sometimes it's dangerous! The blurb also dances around the nature of Owen's secrets in an infuriatingly intriguing way that makes me want to read, if only to figure out the truth. And that word, "Confess." It evokes crime, sin, corruption. It makes me wonder what could be seen as "subjective." I'm not a huge straight-romance fan, but I'm sold. It's the first time I've come across your blog (and thus this post), and it is BRILLIANT. I totally judge books by how cheesy their blurbs can be, so this obviously I loved this feature. ;) Maybe next time you should turn this into a meme and let others join in, because it's really too fun to resist. The first line in the first paragraph actually made me roll my eyes a bit. It sounds like something I've seen in thousands of other blurbs. But the "artist" part in that paragraph definitely piqued my interest as well! I love the cutting the guy out of her life bit, too. The other parts of that paragraph irk me because of the grammar and cheesiness. But the entire last paragraph = yes! Thank you! I'm so glad you enjoy it. It's one of my favorites. I also love the meme idea. I never thought of that. Maybe I'll start that out this week. Ha, I did a little as well. It's definitely not the most inventive language. I typically am a little softer on the writing, just because I know that it's the marketing department, not the authors, who typically write these up. So, while the cheesiness annoys me, I don't necessarily attribute it all to Hoover. Haha, that's such a great idea! I love it. I'm definitely trying that next time. It gives a good feel for whether the blurb is punchy or not. As for the red pen...why thank you. ;) I just can't overlook certain things.